A really big part of LED3 is our rental division. Our rental manager, Kristen Stuhlmann, is the person that will handle your rental from the very first phone call to quoting, logistics and support. She will help you pick out the best products that we offer from hi-res 2mm to curved and blow-through panels for flown and ground supported displays to turnkey solutions to sub rentals. Along with great products, we also have excellent LED technical experience and service with 24/7 phone support for your convenience. With a background in videography and editing, Kristen’s experience with video content also lends support in helping our clients’ pick and choose the best product for their application making sure their content is displayed to its maximum potential. Our number one concern is client satisfaction, so we bring quality products and the highest standard of service to every job. Our focus is to make you look good while handling all the necessary work. LED3 rents out everything from mobile units to indoor 3mm and outdoor 7mm panels. Mobile LED, trailer-based displays, are great for outdoor events where you need to reach a large crowd with visual impact. They are also great for smaller settings where the footprint may be a concern. Only taking an average of 40 mins to set up, these units are great for those events where you have limited load-in times. They are self-contained with an on-board generator and control room and can also be connected to shore power. Clients can also save on labor costs, since the units only take one technician for set up and operation. Our mobile units have traveled the US, displaying all types of content from NASCAR races to Super Bowls to backyard BBQs. Great ideas for use: Movie night, football games, video game competition, concerts, corporate outings, grand openings and more. Our indoor 3mm LED is very popular with our rental Clients because it works well within many applications. With an optimum minimum viewing distance of just 12’-15’, the 3mm LED produces a beautiful picture and works well with presentations using text. 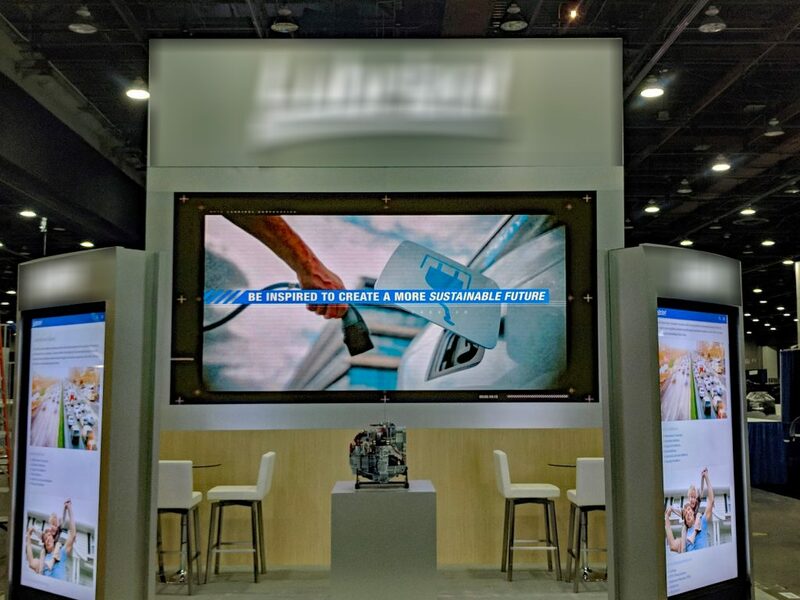 Corporate meetings, concerts, award shows and trade show exhibit booths are just a few applications where our 3mm really shines. At 500x500mm, the LED panels can be configured to almost any requested size display with the ability to be ground supported or flown from rigging. Our next popular rental product is our 7mm LED. Available for both indoor and outdoor applications, the 7mm is a great-looking, budget conscious product. At an optimum minimum viewing distance of 20’-25’, our 7mm works very well at outdoor concerts, sporting events, rodeos, large meetings, public presentations, award shows and more. With the ability to be ground supported or flown, the 7mm is a rugged and hardy rental product. 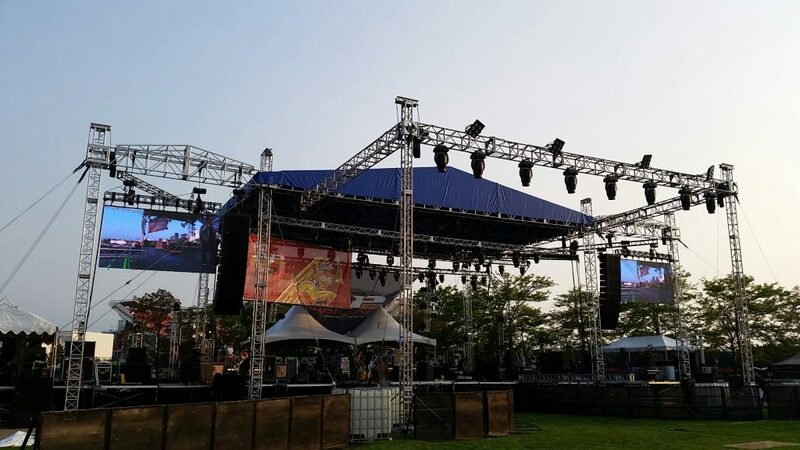 LED3 products can be rented for any length of time. From a 2 hour meeting or event to a 6 month tour, we’d be happy to assist in all planning and implementation of a LED display. Our focus is to provide our Clients with the best product(s) and service available from beginning to end. When Kristen is first approached about a rental, she looks for answers to the following questions: What is the space like where your function will be held? Is the area conducive to ground supporting or is it better to fly a display? How far away is your audience? What message do you want to tell? How can I maximize the LED display for extra excitement and audience participation? 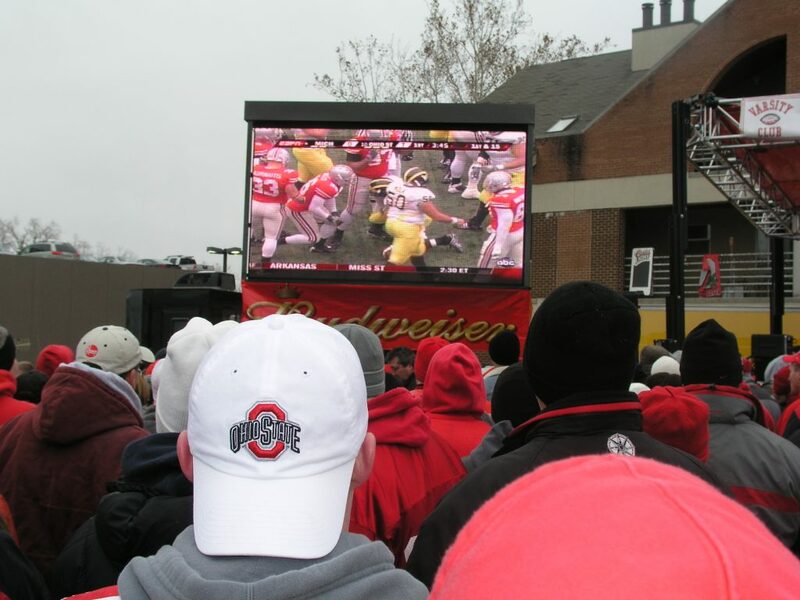 In the old days, when LCD projection was the only option, mid-day outdoor events were a no-go for any type of video display support. Fighting the sunlight is the first obstacle to producing a vivid, amazing picture. Now, with the option of LED, you can provide your audience with an exciting experience no matter what time of day it is. At 5000+ nits and improved shaders, the LED panels stand up to the sun and allow your content to shine through. This goes for indoor shows as well. From the quality of the picture to the spectacular color, the vibrancy of an LED display will set your event/show apart from others.